I don’t know why, but daisies always make me smile. 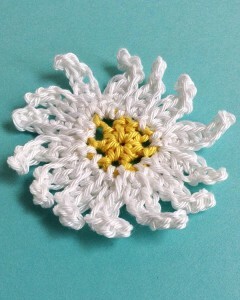 I hope this Mini Daisy Free Crochet Pattern makes you smile too! While there are many different kinds of daisies, this pattern mimics the common daisy, Bellis perennis. 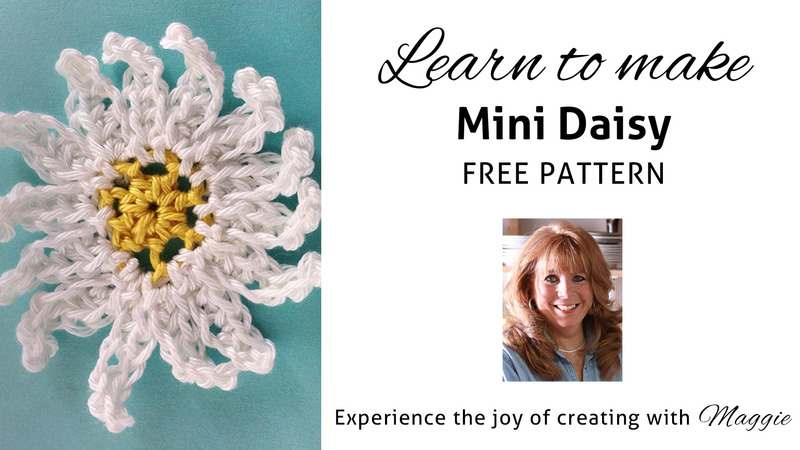 Click the photo for the Mini Daisy pattern. This pattern was designed with Premier’s Afternoon Cotton yarn. 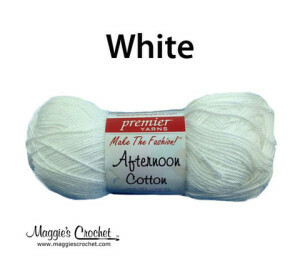 Afternoon Cotton is a #2 weight, 100% mercerized cotton yarn that is great for home decor and fashion projects. This project can be made with any weight of yarn. Finer weights will create smaller flowers and bulkier weights will create larger flowers. Click the photo for Afternoon Cotton yarn. 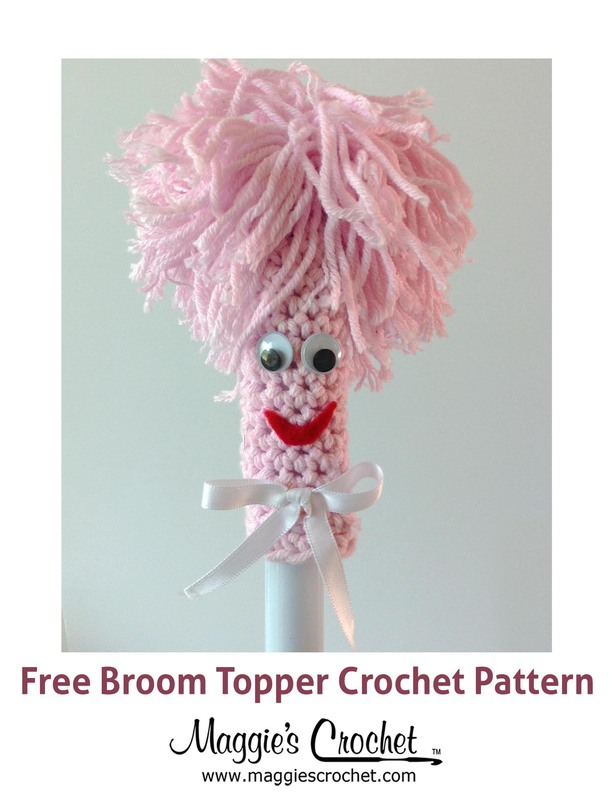 Maggie is excited to offer Seven Free Flower Crochet Patterns: Wild Rose, Vickie’s Small Flower, Two-Tone Carnation, Pink Candle Flower, Cabbage Rose, Camellia Rose, and Mini Daisy. Find more flower patterns here, here, and here.